Hi there! 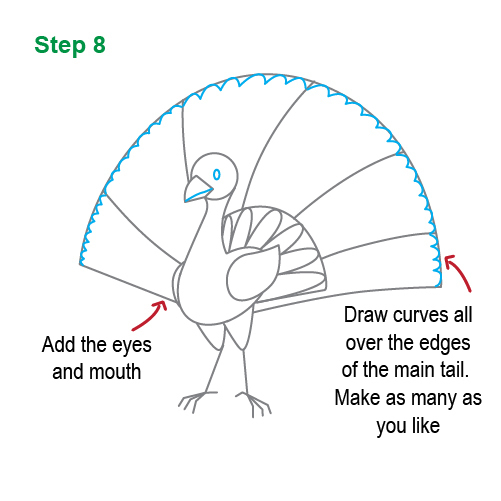 Welcome to our free tutorial on how to draw a peacock for kids. We're going to start with the body of the peacock. 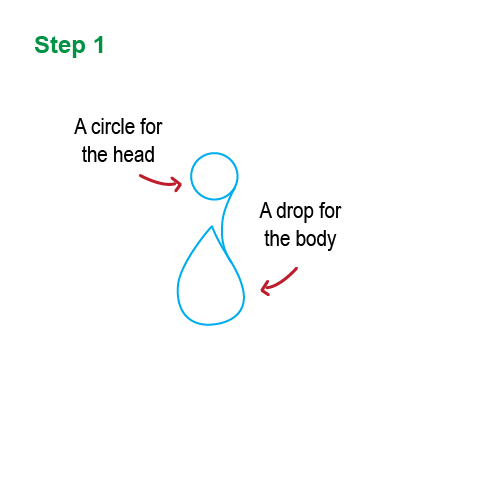 We use a circle for the head and a drop for the body. 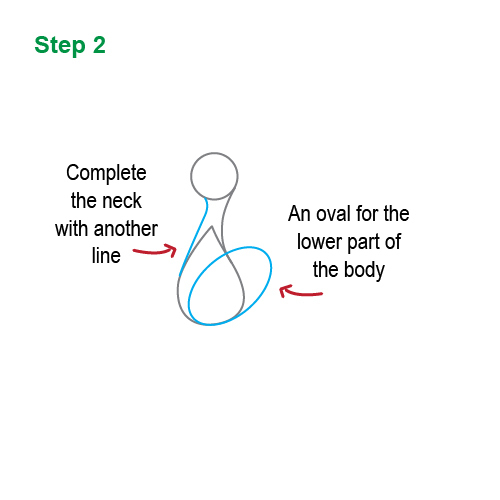 Complete the neck with another line and add an oval for the lower part of the body. 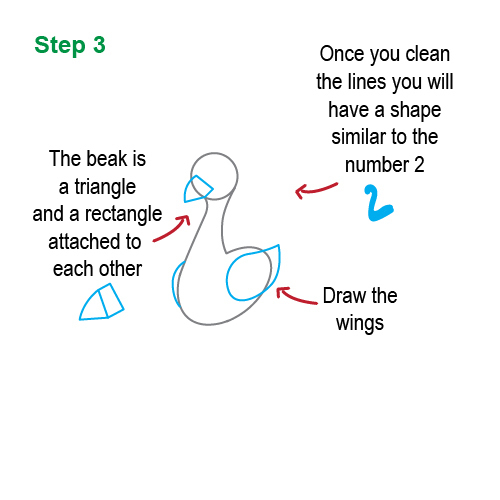 Once you clean the lines you will have a shape similar to the number 2. The beak is a triangle and a rectangle attached to each other. Finally in this step we're going to draw the wings. 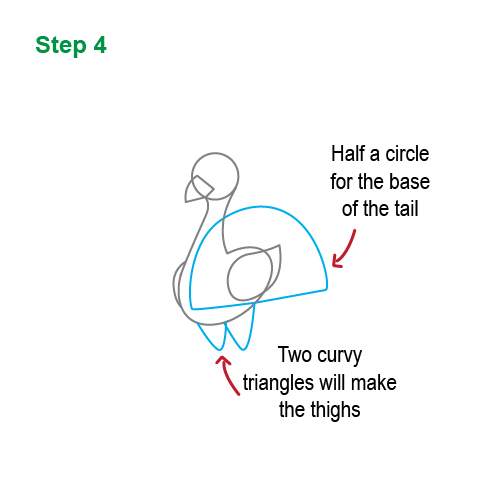 Peacocks have really amazing tails, to make the tail we're making half a circle for the base. Two curvt triangles will make the thighs. 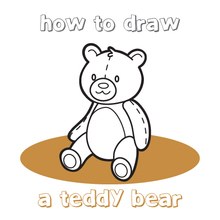 Draw the legs and feet as straight lines. Each foot has 4 fingers, 3 on the front and 1 in the back. 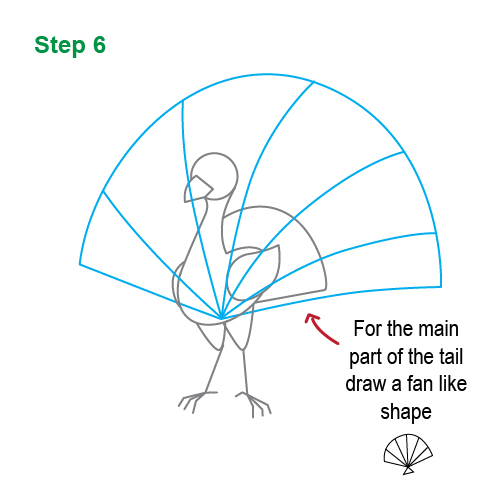 For the main part of the tail, draw a fan like shape. Final details for the tail, draw curves all over the edges. You can draw as many as you like. Add the eyes and mouth for the face. 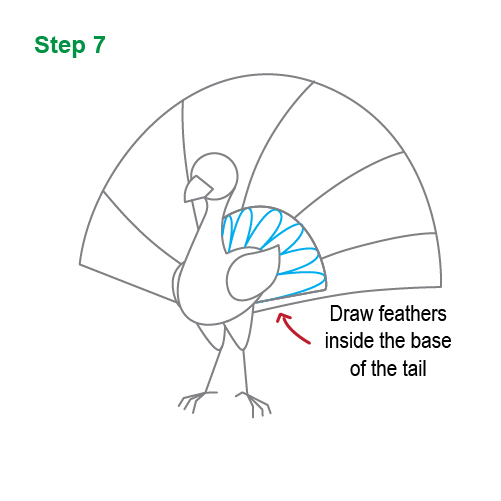 Time to add the final details to your peacock. 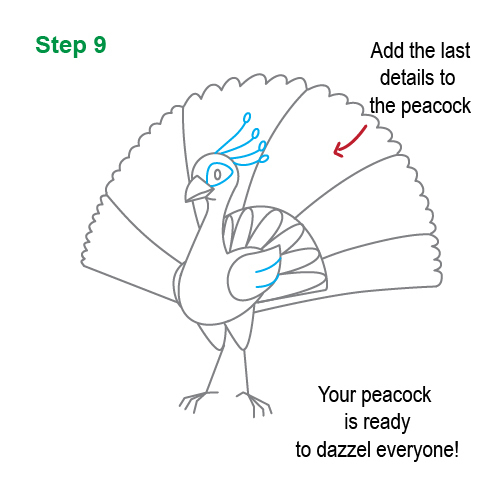 Your peacock is now ready to dazzle everyone. 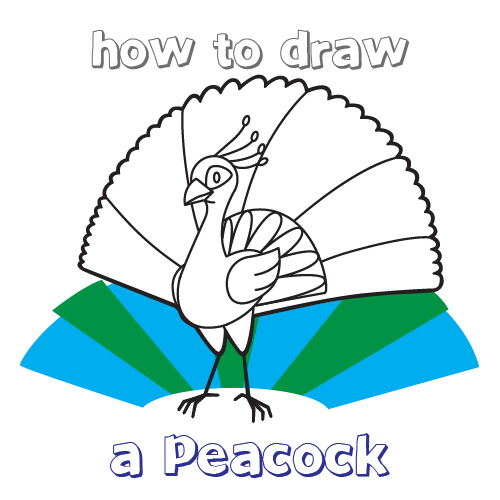 We hope you enjoyed this tutorial on how to draw a peacock. Don't forget to give it some nice colors!